Dr. Beth Darnall’s most recent paper, Patient Centered Prescription Opioid Tapering in Community Outpatients With Chronic Pain, raised some concern on opioid addiction and the reduction of opioid prescribing. Dr. Darnall highly believes opioids have a place as part of an integrative pain care program for certain types of chronic pain syndromes. If you’re somebody who has chronic pain, conservative pain care can be difficult to access because it’s often not prescribed. Her paper tackles the role of opioid in chronic pain and the numerous barriers patients have to go through to receive the care they deserve. The study also focused on how patients would do if physicians worked with them in a voluntary patient-centered way, each step of the way allaying their concerns and fears about opioid reduction, and working with them to very slowly reduce their opioids over a certain course. 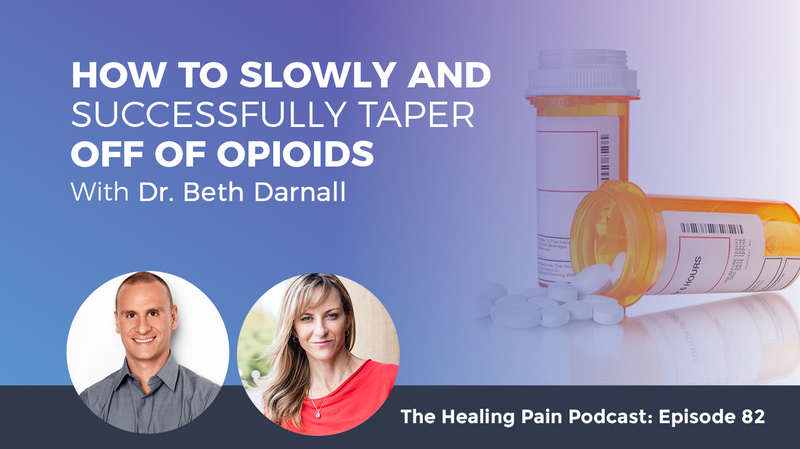 For this episode, we have an important topic and it’s how to slowly and successfully taper off of opioids. It’s designed to make you take notice and reflect on the debate around the opioid epidemic. I invited my friend and colleague, Dr. Beth Darnall, who was a pain psychologist and NIH researcher back on because she published a very interesting and exciting paper in the Journal of American Medical Association called Patient Centered Prescription Opioid Tapering in Community Outpatients With Chronic Pain. The moment this paper was released and I read it, I thought Dr. Darnall has to join us again to discuss the findings and to explain what this means for those of you that may be on long-term opioid therapy, as well as how the findings inform clinical practice if you are a practitioner prescribing. I have three points I want to underline and highlight because the topic of opioid addiction and the reduction of opioid prescribing can be very controversial. The first is that both Dr. Darnall and myself believe that opioids may have a place as part of an integrative pain care program for certain types of chronic pain syndromes. We both agree that this number is significantly lower than what’s being prescribed today for patients. 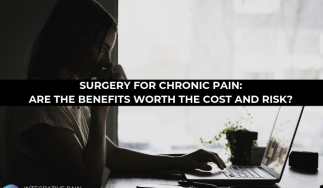 The second is we realized that if you’re somebody who has chronic pain, conservative pain care can be difficult to access because it’s often not prescribed. When it is, many insurance plans poorly cover conservative care. 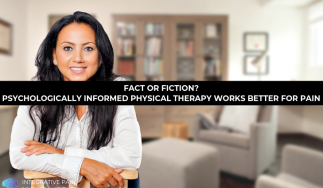 Unfortunately, insurance companies often limit things like physical therapy visits. The same is true for mental health. We realized there are barriers for you to receive the care you deserve. The third and last point is that when we create a podcast such as this one, our primary intention is to educate, inform and inspire you. This is an opportunity for you to reflect on your personal care and consider what you may need to add such as nutrition, pain, psychology, or physical therapy, as well as what you may need to take away or limit, which could be the opioid, which is not helping or potentially making the pain worse. Beth, welcome back to the Healing Pain Podcast. It’s great to have you here again. Thanks so much for having me. It’s a pleasure to be here. I’m sure they remember from episode number 11, we talked about some of the dangers of prescription opioids and how you can gain control of your pain without taking medication. We’re going to dive into some great new data that Dr. Darnall has from some of her research and her research team. She came out with a paper in February of 2018 in the Journal of American Medical Association. That paper was titled Patient Centered Prescription Opioid Tapering in Community Outpatients With Chronic Pain. What was your goal? What was the paper about? What was your thesis? This study was the culmination of a lot of my work over the years in working with individuals who are in chronic pain who are interested in managing pain differently. What was then 2016, late 2015 when we started this study, there were some interesting pressures on people that extended beyond their own interest in reducing opioids. It was some of the pressures from the CDC and the state and federal level to start reducing opioid prescribing. Myself and colleagues realized that there is very little data to guide physicians in helping patients successfully reduce their opioid dose and therefore their risks. We also recognize that there are a lot of assumptions about opioid tapering. A lot of conventional lore about what isn’t and is impossible didn’t mesh with what we would see clinically with patients. We aim to conduct a study that would approach this much differently. Often, what you see in the community is a very authoritative approach to opioid reduction, with messages being sent to patients like, “We have to reduce your dose. I’m going to start tapering you. I’m no longer going to prescribe for you at this level. You need to find someone else to do this. I’m no longer going to do it.” We can all recognize on balance that none of these dynamics are helpful to patients. Physicians don’t have the right formula. We wanted to study how patients would do if we worked with them in a voluntary patient-centered way, each step of the way allaying their concerns and fears about opioid reduction, and working with them to very slowly reduce their opioids over the course of four months. One of the biggest problems with opioid tapering is that the guidelines and protocols that are put forward are far too aggressive. Patients are high risk for having negative symptoms and effects that would then cause them to fail the taper. That was our first most important goal. It’s a great paper whether you are a practitioner or whether you’re someone who’s interested in learning about opioids and what’s happening out there as far as tapering. I strongly urge you to access that paper. It’s a great article in the February 2018 Journal of American Medical Association. Why is there an urgent need to look at reducing opioid for a large majority of the patients? You can’t escape what is called the opioid epidemic in the news. The data are staggering, something like 65,000 overdose deaths last year alone. When you look at those data, you see that the majority of them are related to illicit use of opioids and not individuals with chronic pain. It’s first important to tease that apart. When you look just at opioid prescribing for individuals with chronic pain, you see that the trends do track that. As prescribing opioids has increased over the years, patient risks and mortality, unintentional overdose deaths have similarly increased. There’s an ethical and clinical imperative to help patients reduce risks and to treat pain more conservatively. The data that we have shows that long-term use of opioids does not effectively reduced pain in the long run, which further underscores the need for us to emphasize other types of treatments that may be more effective. As a clinician, even though a lot of my work is focused on helping patients need and use fewer opioids, there are some people who do well with opioids and we need to recognize that. In my opinion, they are probably the minority of patients who have been down this treatment pathway. It’s always important that we temper some of this conversation with some of that compassion because there are people that have some types of chronic diseases that we, to this day, don’t have effective ways to manage it in a way that they can enjoy life and move toward things they value. There’s also another crux that we need to help and open their eyes and open the world up to all these different alternatives. Let’s talk about practitioners who are prescribing opioids, then we can talk about patients who’ve been on opioids when it comes to the actual tapering process. Some of the assumptions among many providers, at least until very recently, was that opioids are safe, low risk, effectively treat pain and are low risk for addiction or mortality. All of these other problems that the data had filtered in dispute those common misperceptions about opioids. When it comes to tapering, the main beliefs that are held by prescribers and patients alike are that opioid reduction is a very difficult thing, especially if patients had been on opioids a very long time and/or at very high doses. It’s not possible to do it in the outpatient setting because they’re going to fail the taper. You need a lot of resources and/or inpatient care in order to reduce their dose and risks. Our JAMA paper are refuting these misperceptions. One of the biggest problems with opioid tapering is that the guidelines and protocols that are put forward are far too aggressive. So many people think they have to go into a hospital, into a four to eight-week program, where they detox off these medications. A lot of people don’t feel like they won’t have the time to have the resources. Sometimes insurance doesn’t cover that. Sometimes there’s not a program in their area that does that. In your paper, this was an outpatient study that you did. It was two pain clinics run by a similar physician in Colorado, freestanding, no behavioral support readily available. Our results are applicable in the sense that the patients who were involved in our study didn’t have access to any special resources beyond this fairly simple tapering method that necessarily intervenes on the doctor-patient dynamic. We found that that’s critically important. I want to know about some of the methods and some of the data and some of the results that you found from the study. Can you share that with us? All patients who are taking opioids were invited to participate in a voluntary opioid taper. It’s simply an invitation. Along with the invitation, they were provided information about opioid reduction. They were told that when opioids are reduced the right way, patients are unlikely to experience the distress and pain that they most commonly are expecting to experience. There’s a lot of what we call nocebo fears about opioid reduction, of beliefs that it will be harmful or painful. Some of these beliefs are born out by patients’ experience. Maybe they missed a dose of medication in the past or maybe they try to taper them themselves and have increased pain, but they weren’t reduced the right way. The right way is to reduce them very slowly over time, to work with patients to make sure that they’re ready for the next dose decrement that we’re accounting for whatever’s going on in their lives. You don’t want to have a dose decreases when you’re heading into the holiday season and going to be spending time with your in-laws. When there are times in a person’s life where they’re expected to be particularly stressful or there’s other events going on, you would want to maintain the dosage at that point. Patients have the ability to pause the taper anytime they wished. They had the ability to stop the taper if they wished. The doctor had an unusual position of simply providing them with encouragement and support and providing them with a pathway to stay in the taper, to go more slowly if they needed to. We found that patients responded to that because their distress in their fears were allayed and the method of going very slowly helped them be successful at reducing their opioid dose, and therefore their risks. If you look at some of the research and the data that’s out there, it says approximately a decrease of, let’s say, about 10%. How does that differ from what you did in this study? The question there is are those dose decrements of 10% happening weekly? Are you doing 10% from the starting dose? Are you benchmarking each subsequent dose? There’s so many different ways to look at it. What else is being reduced at the same time? In this particular study, we focused on only changing opioid dose, not messing with anything else in a patient’s regimen. You don’t want to be tapering multiple prescriptions at once. We start with what I like to call a micro-dose decrement, the smallest possible dose decrease for the first couple of decreases. It’s less about reducing the medication and more about increasing the patient’s confidence and their ability to do this, to help them begin to trust and feel secure. If they’re fearful or anxious or catastrophizing, we’re essentially eroding the ability of the taper to work. We’re undermining their own success. This study is unusual in that we’re focusing on helping the patient succeed with the taper versus adhering to some very rigid protocol. You also provided the patients with some type of information or a brochure to help guide them and educate them. Education is such an important part of everything we do in pain management. We gave them a copy of my book which I don’t advertise in the JAMA research letter. I only mention when specifically asked because I don’t want to appear overly promotional of my materials, but it’s a quick and easy resource. We gave them The Opioid-Free Pain Relief Kit. They had the ability to read some material. It’s very simply stated that helped them understand what they could do to help themselves. We don’t know whether patients read it or use it. We did get feedback from some people, but our numbers are small, so I don’t focus on that piece. It is important for anyone going forward who wants to replicate our methods that they definitely provide the patients with some information about pain science education. It’s beneficial to equip patients with a relaxation audio file or a tool, so that when the stress comes up, maybe some anxiety about the taper itself, they have a way to calm themselves. Dr. Darnall is a pain psychologist. She treats patients and sees patients. She’s also an author on the side. She has two books. One is called Less Pain, Fewer Pills and the other is The Opioid-Free Pain Relief Kit. There are some key questions that I want to ask you that the audience are probably starting to percolate in their mind. The first question is did any of the participants in this study have an increase in pain as they were either off the opioids 100% of our just significantly lowered? I definitely encourage anyone to download the article and look at the data display. We plotted the data so that you can see that each individual patient and how they responded to the taper. Out of the 51 patients who completed the taper study, meaning they provided us with a survey for four months, three patients reported having some increased pain that was maybe on the order of 0.5 up to 2.0 increase in pain. One person had a 2.0 increase. The pain remained the same or reduced. That was important for us to be able to show that on average, when patients engage in a voluntary patient-centered opioid taper program, they can successfully reduce their dose, on average, by about half. These are patients on moderate high and very high dose opioids. They reduced their opioids by about half in four months. Some people tapered off completely with no increases in pain on average. People will want to focus on those one or two people who maybe did have increases in pain. It’s important to recognize that the majority did not have increases in pain. That’s the message we want to put forward. We’re talking about two or three people out of 85. Two or three people out of those 51 who completed, whatever percentage that ends up coming out to 12%, 15%, but when we say for 85%, pain is statistically unchanged. For some people, it actually improves. We weren’t setting out to reduce pain by reducing opioids. We wanted to help people reduce their dose and the risks and show that their pain wouldn’t necessarily increase by doing so. When you ask patients, “What’s your number one fear about opioid reduction?” the number one fear and the number one barrier to opioid reduction is the common perception that pain will increase. That’s why this study is important because our data are refuting the number one barrier to opioid reduction in the United States. The reason why it’s important that people start to lower their dose, whether it’s cutting it in half or a quarter, or whatever happens to hopefully coming off them, is because long-term, these medications have negative side effects. The whole first half of my first book, Less Pain, Fewer Pills, details all of the potential negative of being on opioids. Nobody wants to be on opioids. People want to be out of pain, that’s all. If we can put forward methods to help them with that piece, then we can obviate the need for some of these risky medications. Pain interference is when a person or patient or someone in the study self-reports what the intervention was like, what happened in their life as far as the effect on them emotionally, physically, their social environment. Can you talk about any of those pieces that people may have experienced? It depends on which measure you’re using. If we use PROMIS Pain Interference, the measure that we used in our study, and use it on all of our studies here, it’s tapping into a little more of the functional aspects of how pain interferes with your ability to do certain things. We also collected data on mood, anxiety, catastrophizing sleep, etc. What we found was that, at least in this pilot study, opioid dose was successfully reduced on average but nothing else changed. Most things were static. Most of the other correlates of the chronic pain experience were static. In a way, that’s unsurprising because the study was short duration and we weren’t giving patients anything else. We weren’t also giving them physical therapy or also giving them a psychological intervention. We hypothesized that if we pair these opioid tapering methods with some of those supportive interventions, we can help patients get an even better result, and that they will not only have more successful a reduction of their opioids but we can help him improve on all of these other outcomes that are most important to patients who have chronic pain. They don’t just want to reduce their risks, they want to live better. This is what we’re studying now in my new study. When patients engage in a voluntary patient-centered opioid taper program, they can successfully reduce their dose by about half. I have a patient who’s weaning and successful. She’s not having any side effects. She’s having no problems to mention all that. She said to me, “I liked that I see you once or twice a week because it’s another pair of eyes on me.” This study is clearly about opioids and how to taper them. You mentioned there’s no other behavioral treatment, but I’m happy you mentioned that when you combine it with things like pain psychology, physical therapy, OT, whatever it is that works for that patient, chances are it’s going to be an easier and smoother taper for them. Even though you and I know that as clinicians, there’s no data on this. The only thing we know is that when patients are engaged in very intensive programs, like inpatient multidisciplinary programs, they get great outcomes. The reason why we’re doing this next phase of study is this is sponsored by the Patient-Centered Outcomes Research Institute. This is a $9-million project that will be conducted in four states, about 1,300 patients in total. We aim to put forward, for the first time, data to show how to successfully help patients voluntarily reduce their opioids. We’ll be integrating in some psychological and self-management strategies. Maybe the next phase after that will be integrating in physical therapy and active modalities. I would love somebody else to do that study because it’s so needed. There’s so much work to be done in this area and you’re leading the way. Your work is great, and many people are enjoying it. It’s so well-needed and you deserve many accolades for it. Talk to me about maybe one or two limitations because every study has its limitations. The limitations actually inform us about how to go forward. The first thing to know is that110 patients were invited to voluntarily reduce their opioids. Of those 110, 82 said, “I’ll do this. I’m interested,” 68 enrolled. Of those 68, 51 completed. Of the patients who engaged with us in opioid reduction, 25% dropped out. We don’t know why, but we have to assume it’s because it wasn’t right for them. It wasn’t working. Maybe their pain increased. Somehow, we weren’t meeting their needs. With this next phase of study, we have the opportunity to better characterize those other patients who didn’t want to engage at all in the first place, of those who did engage that 25% left the study. It’s important to study those people who leave. I have no data to provide on them, but we’ll be looking at that. The other thing to know is that this study was conducted in essentially a single site. With our upcoming large four-state clinical trial, we will be able to understand how these methods work in diverse clinic settings, primary care, closed payer systems, in VA. We’ll be able to definitively answer some of the questions and limitations that are raised by this study. The last thing I want to mention is that we did find that there was one factor that distinguished, whether people stayed in the study or whether they dropped out, and that was depression. Patients who were higher on depression were less likely to complete the study. That’s a clear indication that people who have diagnosed depression need a higher level of support. It’s a clear indication for the need for psychological intervention. We simply didn’t have it available to offer them in this first study. We need to focus on that for the future. The patients had a variety of different diagnoses. This was a mixed etiology sample. This was in the truest form a pragmatic clinical trial, meaning that when we conduct studies in the lab, we have all of the selection criteria and you end up with a pretty homogenized sample that doesn’t necessarily look anything like what you see in the clinic. This was full-blown clinic sample. It was all comers with chronic pain who were taking any dose of opioids. As it turned out, the median dose was close to 300 morphine equivalence daily. The range of opioid dose was 60 to over 1,000 milligrams. This was what we tend to see in a pain clinic. People had been taking opioids for an average six years, and the range of duration of taking opioids was between one and 38 years. It was very much a chronic complex patient population. When we go forward in our larger trial, we will be powered to see if the medical diagnosis is somehow predictive of patient success with opioid tapering. I certainly believe that there are some conditions where there is a higher indication or maybe some data to support their efficacy. On balance, we’ll see if there are differences between the diagnostic categories. Pain clinics are needed in our country. The physician who oversaw the pain clinic and these patients, was he surprised? Was he or she expecting this to happen? What was the emotion there? It’s a good day for you, as a researcher, when people are like, “Sure, I’ll join your study.” I had been talking to Dr. Beth Darnall. This is the second time she’s on the Healing Pain Podcast. I want to thank her for being here this week and talking about a great study in JAMA called Patient Centered Prescription Opioid Tapering in Community Outpatients With Chronic Pain. You can learn more about Dr. Darnall by logging onto www.BethDarnall.com. You’ll find all the information about her, her research and her books. If you want to contact her, go to that website. She’s got great research. She’s doing wonderful, fantastic work leading the way. People generally don’t want to be on opioids but they are looking for help. They’re looking for practitioners of all kinds to stand by them and help them through their pain and to help them see a life where there’s a light at the end of the tunnel. There can definitely be life without pain and there can definitely be more life even if you have a little bit of pain. It’s still possible. Make sure you hop on to your favorite social media outlet and share this with your friends and family, whether it’s Facebook, LinkedIn, Twitter. It’s a great message and great research. We appreciate you helping us and sharing that message. Beth Darnall, PhD is Clinical Professor in the Department of Anesthesiology, Perioperative and Pain Medicine at Stanford University. She is principal investigator for $13M in national pain and opioid reduction research projects that test the effectiveness and mechanisms of psychological strategies in individuals with chronic pain. She investigates mechanisms of pain catastrophizing, targeted pain psychology treatments she has developed, prevention of post-surgical pain, and patient-centered outpatient opioid tapering. 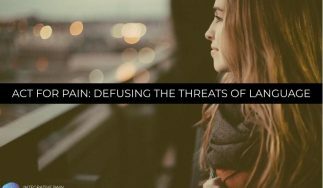 She delivers pain psychology and opioid reduction lectures and workshops nationally and internationally. She is author of The Opioid-Free Pain Relief Kit © 2016; Less Pain, Fewer Pills: Avoid the dangers of prescription opioids and gain control over chronic pain ©2014; and Psychological Treatment for Chronic Pain ©2018 (American Psychological Association Press; August 2018). She was a speaker at the 2018 World Economic Forum in Davos, Switzerland, and has been featured in the San Francisco Chronicle, New York Magazine, Forbes, Scientific American Mind, The Washington Post, BBC Radioand TIME Magazine.